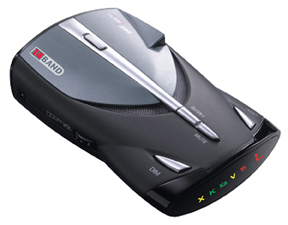 My chief complaint with most of Cobra’s radar detectors are false alerts and the XRS-9545 will drive you nuts! There several detectors in this same class from Whistler in my opinion that are better performing units as far as radar detection. However my opinion in this case is NOT backed up by other reviews and feedback made by other automotive publications and happy Cobra XRS-9545 users that you will find online, a few of which are published at the end of this article. I have this model. I’m not going complain too much only because I got it for 40 bucks. I used it and it seems fine. I’m new to detectors so I’m still getting used to mine. I only got it to more aware of my surroundings as I dont have perfect vision because of my albinism. While I do get some false alerts, it doesn’t drive wild (yet) and sensitivity isn’t it’s greatest feature either, it’s still a good radar from my opinion. I might consider getting a better one down the road though. Works alot better when you turn off X-band. Almost no one uses X and most of my false alerts where X. Filters falses on K and Ka pretty well, way better than the last unit i had. On the places I normally drive I have 5 or so spots that it regually falses on. No random falses, so if you can remember the spots it falses on you can just switch to visual detection in those areas. Range is sufficent generally, just dont do like me and set it behind the pillar on the front dash, it missed all signals from the drivers side of the car. My Whistler XTR-475 can beat this one, and I got it for $50 when it wasn’t on sale. If you go cheap, go Whistler. I have this unit and I am not a fan. The amount of false alarms is so high that I am not able to judge real alarms from false alarms, no matter what the settings. I am looking for another unit. – too many false alerts. I a metropolitain area, it will alert you every few minues to the point where you don’t care anymore.